Chelsea manager, Antonio Conte has dropped a double transfer hint having showered praise on Chilean duo, Alexis Sanchez and Arturo Vidal. 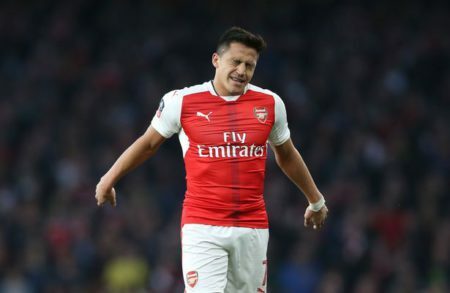 The former Juventus manager is believed to be a big fan of Alexis Sanchez and Arturo Vidal and would love to have the both of them at Chelsea if given the chance. The Italian tactician has always spoken of his desire to bolster his squad in the January transfer window after falling 17 points behind runaway Premier League leaders, Manchester City who remain the only unbeaten side in the league having dropped just four points so far this term. The 47-year-old has revealed he doesn’t have much say on transfers but can identify and drop his opinion on transfer targets as the club possess the final say on transfer targets. “I think there is this maybe this habit here, but I’m not involved in the transfer market, I give my opinion but the club decide for the players they want to buy, to invest in. “I changed my number. I don’t have this problem. In this period for us it’s very difficult, but it’s right for the club to be involved 100 per cent in the transfer market and to try to do the best for the team and for the club and I’m ready to face every situation. The Blues have been linked with a winter move for Arturo Vidal with the Bravarians yet to open talks of a new deal with the Chilean who reportedly has 18 months left on his existing contract at the Allianz Arena, while wantaway striker, Alexis Sanchez whose contract at the Emirates expires at the end of the season and could sign a pre-contract agreement with any club of choice this month continues to be linked with Manchester City, but with Conte also interested in him the Blues could steal on march on the Citizens for the Chilean signature. With Antonio Conte keen on reducing the gap on Manchester City, signing the Chilean duo would be an improvement of the Blues squad and would definitely help the Blues compete on all fronts.